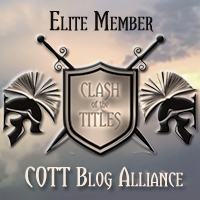 Check out the interview Patti (the blogger hosting the contest) had with Julie. She's going to be giving away two books in the contest. Hi Julia, where were you born and where do you call home? I was born in Portsmouth, Va. I currently call Dubai home. If you gave some of your characters an opportunity to speak for themselves, what would they say? I think Rourk would say "enough with the drama give me Keegan back." 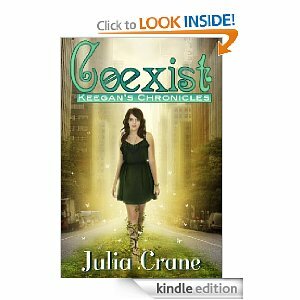 I'm currently working on book 3 in Keegan's Chronicles. I still haven't decided on a name yet. However, I am leaning towards Consumed. Would you like to giveaway a copy of your book on this blog? Conflicted was a pretty easy title to come up with. The main character is conflicted between who she wants to be with and who she should be with. Have you based any of your characters on someone you know, or real events in your own life? Yes, I take a lot of character traits from people I know. Before we moved to Dubai I would have said hardcover. Since we don't know how long we will be living here we are trying not to collect too much stuff. I switched to e-books and love it. Where do you prefer to buy your books? I buy most of my books on Amazon. Have you ever read a book more than once? Yes, there are quite few books I have read more than once. Is there a particular movie that you preferred over the book version? Not that I can think of books are usually better than the movies. What book are you currently reading and in what format (ebook/paperback/hardcover)? Slumber, by Samantha Young and I'm really enjoying it. What book do you know that you will never read? Never say never! I often read books that aren't my taste because someone recommended them. I feel you can get something out of any book even if it's just one sentence that speaks to you. Are there any new Authors that have grasped your interest and why? I've met so many amazing writers through this process. Talia Jager and Heather Adkins are my critique buddies and both amazing writers. Is there anything you would change in your last book and why? I received a few comments that the book felt too rushed towards the end. So I went back in and added more to the chapters. That's the great thing about e-books it's easy to make changes. Kadri Umbleja she is amazing! Do you have a book trailer? What are your thoughts on book trailers? I love them. I think they are a fun way to advertise. Just keep writing. It's normal to doubt yourself, but if you are writing because you enjoy it don't stop. What is the best advice that you have ever been given when it comes to writing? Don't worry about anything with the first draft. Do you ever write in your PJ’s? I think I write most often in my Pj's. My favorite are my red polar bear ones. Both. I prefer coffee first thing in the morning. I grew up drinking tea. American :) I miss a lot of American foods living overseas. What do you normally eat for breakfast? Coffee, granola bar or cereal. On the weekends I have french toast. What are 4 things you never leave home without? Toddler, iPhone, money, and wipes. Laptop or desktop for writing? I don't really have a preference anymore. Whenever I can find quiet time works. I don't really have crushes on celebrities. They're just normal people like us. But I DO have a crush on the characters, Batman, The Punisher, Thor, and I'm sure there are more. Patti Says: Oh yes Thor, an Aussie Lad! What is a movie or TV show that you watched recently and really enjoyed? The Secret Circle. It was really good. Where can your readers stalk you? Is your book in Print, ebook or both? Coexist is in both, Conflicted just ebook so far. Tessa is a sweet Christian woman who's trying to decide what God is directing her to do with her life. Gunnar is a bike riding "heathen" being taunted by the devil. They meet when they both crash at Tessa's brother's house. They are both having housing issues and need a place to stay. The attraction is instant, but so is the fear and the dislike. Tessa is scared of how Gunnar makes her feel and his violent reactions to almost everything. Gunnar doesn't exactly have the best past and doesn't feel he's worthy of someone as "clean and pure" as Tessa. The book deals with intercessory prayer, encounters with angels and demons and salvation. And at the heart of the story is a beautiful love. There is God's love for His children and a romantic love story. As I've mentioned before I'm always up for another romance and Christian fiction is one of my favorites. The story was gripping and thought provoking. My only complaint would be with some of the theology. But since most people won't be reading this for the theology I think it's not going to be an issue for many people. Can't wait to read the author's next books. I received this book free of charge in exchange for my honest review. Cherisse takes a call from her sister that will forever change her life. Her sister Shelly is living in an abusive relationship and needs a place to stay until her husband calms down. But it doesn't go exactly as planned. Before the night is over Cherisse will meet a man that will help not only her, but her sister. The book deals with abuse, grief and love. The Prologue begins with Cherisse writing about how her doctor told her that perhaps writing about her grief would help her get past the pain. So you know that there will be sad parts from the very beginning. The author warned me that the book would be sad, but it was also nice to have the warning at the beginning. Just in case I wanted to have some tissues handy. There are some books that capture your interest from the very beginning and never let go. When I get a book like this I am so into the book that I fail to notice what is going on around me, I don't notice if something is worded wrong or misspelled. The world fades and I begin living the story. This is just that sort of book. I couldn't put the book down. The subject of spousal abuse was handled so well. It really showcased what is going on in the lives of these poor women. This book is labeled as fiction, but truly felt like I was reading a true story. The main character is telling her story in first person. So I felt like I was given an even closer look into her life by hearing the story in her own words. I arrived early for an appointment and finished this book in the car. I sat in my car and cried my eyes out. I HATE sad stories, but I would read this book again, it was that good. And also to be fair, only about 2 chapters are sad. The story ends well and left me feeling thankful for my wonderful husband in more ways than one. I appreciated the way the author showcased a beautiful marriage and an abusive one. It leaves hope for the abused wife that there are wonderful marriages out there. I would highly recommend this book and can't wait to read the author's next book. I just received an email from the author and she wrote "October is the month I am donating $1/book to The Hotline - National Domestic Violence Hotline - for Domestic Violence Awareness Month." Check out Collette's blog for more information on domestic abuse. So please buy this book and support domestic violence. The book is amazing and you'll be helping someone else out too. Elizabeth wants to write a book and isn't sure she can do it in London. So she moves to the Scotland countryside and gets a teaching job, hoping to write the book in her spare time. She meets some interesting people and finds her writing a bit more difficult than she'd imagined. It took me quite a while to get into the book. I couldn't get the characters straight and just couldn't get attached to Elizabeth. There are quite a few characters that run parallel with each other and only at times intersect. But about half way through the book I figured out who was who and started enjoying the book. The ending seems to wrap up decently and yet leaves room for more if the author chooses. I could see this being a series since some of the character's stories could have been developed more or thoughts carried further. All in all, I enjoyed this book. The Seaview Terrace takes the lives of the tenants in the condo and tells their stories. Each story is woven together as the tenant's lives intersect. There is the usual mix of races, ages and other differences. I think this book was well written, but I just couldn't get into it. The author did a great job of portraying each character and weaving their lives at the terrace. But the characters didn't grab me or interest me. The reviews were good so I kept waiting for it to start getting better. But it never did. It just isn't my style. And then it ended without anything or anyone coming to a conclusion. I really don't want to rate it with stars because those are supposed to be how I like it and I didn't. But I don't feel this is fair to the author because it was a personal preference and not bad writing. A short story about a young mother who's having a very rough day. She's feeling down and discouraged. Isn't there anyone or anything that can make this day better? This story really spoke to me. A mother's (or anyone's for that matter) life can have some very frustrating and discouraging moments. But the point that I took away from the story was that we should always smile because there is someone out there willing to give us a little push to help us along. I like the author's writing style. She has the ability to draw the reader in and make them feel a part of the story. The story flowed well and felt very real and alive. Rain is a tomboy. And now all of her friends are interested in make-up, boys, dresses and more boys. Rain would rather just play basketball with her friend, James. But then she meets the cutest boy in school and everything changes. This book was a cute little story for young girls. I can see a young girl really enjoying this book and relating well to the main character. The story flowed well with enough details to make me feel like I was involved in the story. It's not my typical genre, but definitely made me want to read something else by this author. Kerry is an ice skater who is about finished. She's trying one more time for a gold medal at the Olympics before calling it quits. But before she can skate that one last time she's asked by a fellow skater for help in deflecting from his country. Kerry has been attracted to Mikhail, from Russia, since the first moment she laid eyes on him. But if she helps him she looses her chance to try for gold. When the story started I thought I knew where it as going. A girl helps a guy leave his country, they fall in love and live happily ever after. Well it starts out that way, but then quickly takes several detours. I enjoyed the extra twists and additions to the story that kept popping up to keep it from being the typical, clique romance. It was a fast read that was fun and different. The author wrote this cookbook because she has allergies. I made the assumption that this book was going to be a healthy cookbook. It isn't at all. There are quite a few recipes that call for lard, real butter, lots of sugar, etc. But the author does try to use all natural ingredients in the recipes. She went back to grandma style cooking and this has helped with her allergies. In the introduction, she mentioned that going back to the way her grandmother cooked before preservatives has really helped her and she wanted to write a cookbook that would help others in similar situations. I tried one of the recipes and it turned out ok. There are only about five in the book that interested me enough to try. But that may be because it leans so much in the direction of desserts and I don't eat a lot of sugar. My main complaint with this book is the numerous typos and grammar issues. I was able to ignore them for the most part until I came to the Strawberry Milkshake. It literally looked like someone had shaken the milkshake a bit too much and it ended up all over the book. Every couple of pages the word strawberry appears in the oddest places, offsetting the type and messing up the recipes. It's very distracting. It happens again with another recipe later on in the book. This book needs an editor in the worst way. I received this book free of charge from Dorrance Publishing Company in exchange for my honest review. Diana is distrustful of men. Her husband drained her trust fund and then moved on to other women. After his death she takes her daughter and tries to move on with her life. Then Devlan enters the picture and changes all of her ideas about men and having that forever kind of love. But she's still so scared that she almost ruins everything. I loved the way that this book was written. It grabbed my attention from the very beginning and never let go. The story flowed well and kept me entertained the entire time. Would definitely recommend if you want a feel good romance. Inspiration and Motivation for Life's Journey. . . On and off the Road. I've just started running again so was very excited to get this book. The book is divided into 52 weeks. Each week has seven sections - Intro, the runner, the race, the result, my story, think it through and on running. Each section is to be read on one day of the week and then at the end is a small space to journal and a running log. The layout of the devotional is very impressive and put together well. I like the idea of mixing my running each week with a spiritual aspect. My only complaint would be the way the week is laid out. It was confusing to me since it doesn't say in the chapter what part to read when. So the first day I read the entire chapter in one day. Some of the days are quite long and others are really short. If it had been a hectic day I would have to read the previous days thoughts to remind myself what the theme was. But this wasn't enough for me to dislike the book, only a minor annoyance. Definitely a book I'll be gifting/recommending to the runners in my life. I received this book free of charge from Tyndale in exchange for my honest review. This book is full of stories from bullies and people who have been bullied. At the end of each story is the author's commentary. The commentary is full of ideas and instruction to teachers, parents and children on how to stop the cycle of bullying. It deals with issues that children from both sides can apply. After the commentary is a list of activities and questions for discussion. These would work well in a classroom setting or with a family who is dealing with bullying. This book was written in a way that both children and adults can read and use. I would highly recommend this book for parents of school age children and for the schools to have in their library. I will definitely make sure my son's school has a copy. This book deals with the discipline issues that parents have with their children and methods for correcting the situations without yelling at the children or becoming frustrated and angry. I've read quite a few parenting books and this is one of the few that I've actually enjoyed. It wasn't dry or boring. There were stories to convey what point the author was trying to share. And then there were solutions to the problem. Sadly quite a few books are willing to share the problem and the solutions that DON'T work, but this is one of the few that has practical, easy to follow instructions on how to let go of anger, learn to talk to your child or deal with tantrums. I was very impressed with the style of writing, the detailed solutions and the heartfelt love for children that the author used. Will definitely read another book by this author. I received this book free of charge in exchange for my honest opinion. The idea of this book is to enrich your life and provide thought for reflection. There is space for journaling and each item has a note on how to accomplish it, what to expect and thoughts to help you reflect. It isn't really a book to read. It's more a list of things that the authors think are important to your spiritual life or will somehow help you to reflect on God and heaven more. I'm really not sure how to look at this book. Some of the things on the list are spot on. Then there are the items that seem completely senseless. They might make me laugh (see #16), but certainly not reflect on heaven. I guess everyone's different. All in all, it was a neat idea and something that I'm sure some people will really enjoy reading. But I don't see very many people actually doing each and every one of these 99 things to enrich their spiritual life. Helen is trying to get over a cheating boyfriend. So her friend, Ayshe comes up with a challenge to get her out of her rut and back into life. She's also hoping her friend can find love again. The challenge is to last for fourteen days and Helen must do whatever Ayshe tells her to do. Add the challenges and Helen's ability to find calamity at every turn and you have a very hilarious book. This book is a great little chick-lit with romance and lots of comedy. My only complaint would be the main character is a bit unbelievable as far as her klutzy accidents. Anyone having luck that bad would be dead by now. But all in all, it was a very cute and funny read. Loved the author's style of writing and how fast paced the book was. This small book begins with a poem about a midwife; the midwife who brought Jesus into the world. The poem is thought provoking in itself. But the author has broken up the poem into eight seconds (two for each week of Advent). Each section has a small thought, questions, meditation thought and Bible verses. This is a wonderful book to point us to the real reason for Christ's birth and to help us see beyond the presents, decorations and stress of the holidays. I've had SO many people ask me how I got into reviewing books and how they can do it as well. I've been promising for months to write a blog describing what I do. So here it is! The main thing you will need is a blog. It doesn't have to be fancy and blogger is free and easy to use. It's also helpful if you have an ereader, but before I got mine I just used my computer and asked for pdfs. I'm going to include the name of the publisher or website that I get my books from. Then I'll be writing a little about my experiences with each company/author. Booksneeze is the website that Thomas Nelson Publishers uses. You fill out a short form online which includes your blog address. Then you request a book. Print and ebooks are available, but if you want a paper book you have to jump on it pretty quickly since they go fast. You will get an email letting you know when popular books are getting ready to show up so this helps. This website is for Water Brooks/Multnomah publishing company. You fill out a short form online which includes your blog address. Then you request a book. They also include paper and ebooks. My only complaint is their complicated system of requiring ratings on your reviews. If no one rates your reviews you are limited to the books (mostly the paper books) that you can review. Once you can get some ratings it opens up more books. Fill out the book reviewer form and you will periodically be sent an email with a list of books to choose from. They also have a facebook page with all sorts of information. I've found that they respond very quickly to questions. These are, sort of, indie books. So it really takes some dedication to reading to sort through the "rough" ones to find the gems. But if you carefully read the descriptions it helps quite a bit. Send them an email and follow the instructions on the review page and they'll send your book out. Harlequin is known for their romance, but they also sell non-fiction. If you sign up for their survey group you can specify which books you like to read and I'm assuming will only be sent books from that genre. I've only received two books from them so I'm not sure yet if they deviate from this. Fill out the form and request a book. A word of warning - they take forever to ship the book. I've received several emails offering more books to review before I ever received the book I had asked for. 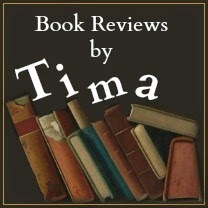 If you want to review for an author directly there are several places that you can go where the authors will find you. The one that I recommend was started on facebook by an author I reviewed earlier this year. I've reviewed quite a few books this way and have had a great experiences. These are the main ones. There are quite a few more, but this will get you started. Just remember that every book you get an agreement to read the book. If the company/author notices that you aren't reviewing their books they will drop you. Hope this helps everyone that has asked me for advice on how to get started. I will also answer any additional questions anyone might have. Toxicity is about a serial killer that has the police force confused and the population scared. There are no marks on the victims, no way of telling how they died. They all just end up dead in a trash pile, dumpster or garbage place. No one can figure out why they die or if the deaths are even related. I wasn't sure what to expect, but was blown away once I began reading. The author's style is fast paced and exciting. I literally couldn't put the book down. There are several main characters and several different view points going on at the same time, but it isn't confusing. There were just enough details to keep me reading and absorbed in the story, but not enough so that I figured it out too quickly. Think CSI meets Erin Brockovich. Combine that with excellent writing and you have a book that will keep you on the edge of your seat.